So, why do gardeners write? I think I should probably start this by saying why I write. Eight years ago I was the television editor of the Sunday Telegraph. It was, in many ways, a dream job. I spent my days watching TV programmes before most people had seen them – often at my desk wearing headphones – then writing about them. Fairly regularly I would get to interview people from off the telly too – Victoria Wood, Derek Jacobi, a Footballer’s Wife. I even had a telephone row with Ruby Wax, which I think she won. My friends envied me. Plus I was always up to speed with the latest TV phenomenon so had a lot to say at dinner parties. I loved the pace of the job, the people and the opinions, but putting together a weekly guide got a bit Groundhog Day so I did a monumentally crazy thing. I jacked it in and decided to grow plants for a living instead. This was particularly crazy because, at this point, I didn’t really know very much about growing plants. My tiny south London garden was great therapy away from the fluorescent lights and deadlines of a newspaper office but not really a training ground for becoming a master planstwoman. Especially when most things I tried to grow promptly died. But I had a dream. It involved me wafting through a polytunnel in a straw hat picking tomatoes and growing vegetable plants that I was going to plant in rich people’s gardens and make loads of money from. I wanted to grow things. Be by own boss. Get my hands in the soil. 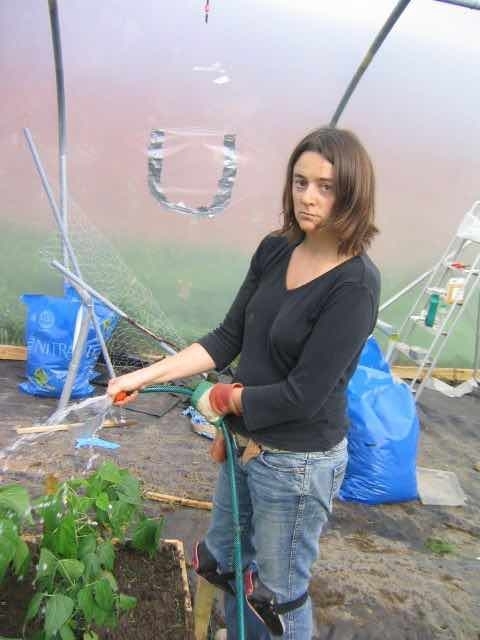 Of course, as I know now, no one can waft around a polytunnel – you either ooze in summer or stagger in winter, but I wasn’t about to hear sense. The Telegraph sent me on my way with a solar powered radio so I could listen to the Archers while sowing and a big book of organic gardening. This was helpful since I had a lot to learn. Not least that too-tight knee pads cut off all blood supply to your feet (no wonder I look so solemn). I bought a polytunnel the size of an average church and rented some land off my dad, who, rather conveniently, is a fruit farmer so had some going spare. (To this day I don’t know why he didn’t lend me the land not rent it to me, but that’s farmers for you). On the plus side I’ve never been so brown nor fit as I was over the next two years. On the downside, I soon realised that unfortunately, filling a 70 foot polytunnel with thyme plants, planting Jerusalem artichokes and learning how to make nettle tea wasn’t going to contribute much to the mortgage. At this point, it’s safe to say, none of my friends envied me any more – and I’d catch them glancing at my mud-encrusted nails with alarm. The penny finally dropped when I signed up to a fruit and vegetable growing course at the Chelsea Physic Garden that year, paid what I thought was the full course fee and then received a phone call thanking me for the deposit and politely asking when I might be able to forward the remaining balance. It’s amazing how facing financial penury can get you off your backside. I went home, emailed an old contact at the newspaper and asked ‘I don’t suppose you’re looking for a new column about growing fruit and vegetables are you? From someone who doesn’t know much about growing fruit and vegetables?’ Amazingly, she did. 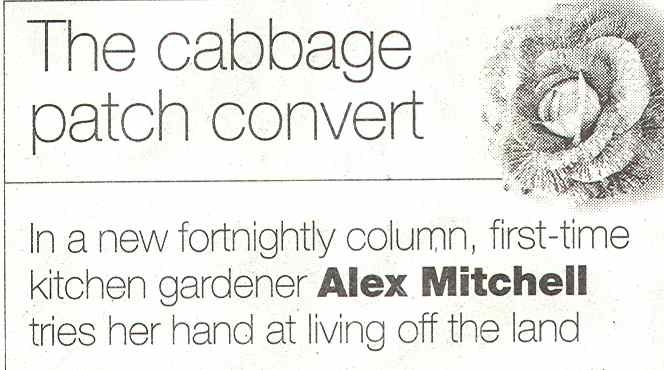 I wrote that column, in various permutations, for the next six years and it led into my three gardening books, The Girl’s Guide to Growing Your Own, The Edible Balcony and The Rurbanite. 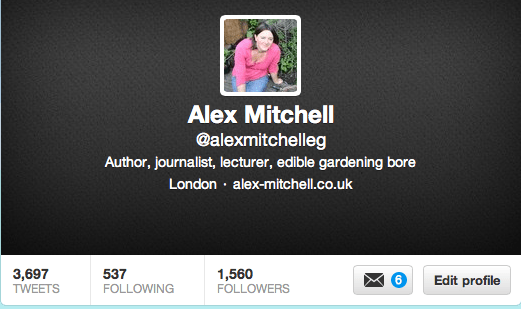 So I suppose I have the Chelsea Physic Garden to thank for my writing career. The early years of the column were the most fun. The world of garden mistakes is fertile ground for the columnist and gets round the bossiness garden writing can otherwise invariably fall into. And since I genuinely knew very little so there was certainly no danger of that. My kales were shredded by caterpillars, my courgettes covered in mildew. But I did discover I had one skill, albeit an inadvertent one. Growing miniature vegetables. My potatinis, carotettes and brusellteens were all delicious though you did have to wash them carefully since they had a tendency to fall down the kitchen plughole. So that’s how I got into gardening writing. But there are so many gardening writers out there. Why? Well, for a start I think it’s because we’re useful. People know surprisingly little. And I say this from no position of arrogance because I didn’t know anything either when I started. I can’t speak for other generations, but I’m constantly amazed by how little people around my age know about gardening. I’ve seen impressive radio producers literally gibber in the corner of their balcony when faced with a potted shrub with a few brown stems. My friend Jerry called me one day delighted his tomato plants were growing so well but ‘Should I cut off the flowers?’ For many people, they don’t realise pots need drainage holes. Gardening is a practical subject and there will always be a need for people to write about how to do it. For the gardening writer, of course, there is a real irony in this. The more you know about gardening the less you think you know. The minute you get your head around vegetables you realise you know nothing about half-hardy annuals. I can’t be the only gardening writer who keeps expecting the tap on the shoulder and invitation to leave by the side entrance. But this is great because it keeps us on our toes, always learning, always excited. There’s another reason gardening writing is so prolific. People who garden love gardening. With a passion. When you love something you want to celebrate it and share it and you can do this by putting it into words. It’s all the more pressing because gardens are ephemeral. Flowers fade in days, sometimes hours. Capturing that flower in its perfection that has just opened as you walk round you garden, whether in words or in a photograph, is a way to preserve it. To immortalise beauty and cheat decay. But there’s another reason too. I think writing about gardening is a way to connect to other people. For me, personally, I realised that I’d inadvertently chosen two of the most solitary jobs in the world – gardening and writing – and for someone who quite likes other people it got bloody lonely at times. It didn’t help that, at this point I also had two young children so I could go through entire days either taking thyme cuttings or talking about Petit Filous and Makka Pakka from In the Night Garden. So the comments and emails I got about the column were fantastic and I fell on them with a low growl. But book writing is lonelier still – months on end of solitary work with little collaboration. And that’s why I think the internet has made such a huge impact on garden writing. It’s a way for gardeners to meet each other, to break out from their little universes. Write a blog entry and people might comment on it. Sometimes within minutes. Write a Tweet and you might get replied to, retweeted, even favourited, in seconds. You are no longer alone. Personal blogs and Twitter have revolutionised the way we write about gardening, and we’re flocking to them in droves. 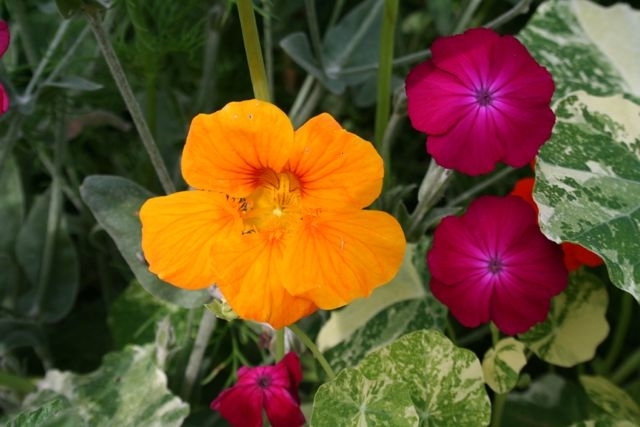 Garden writing is particularly well suited to social media because it’s a practical subject. You can learn stuff, and you can share information. You can find out how to build a wormery or discover what that weird mould on your tomato leaves is. And you can share your knowledge too. If you can ID a wild flower someone’s photographed and put on Twitter you’ll feel clever all day. You can find your people. The internet has room for all niches. If you have a passion for marginal pond plants, rare orchids or heritage vegetables you’d be lucky to find someone on your street who shares it. But go online, and you’ll find a community. And they might not even be living in the same country. Pretty soon you have built up an online gang of like-minded gardeners just as obsessed with ornamental grasses or weird South American edible tubers as you are. There’s another reason. The internet has democratised gardening writing. Let’s be honest, traditional garden writing of the past has usually been the domain of the rich and privileged. They had the contacts, the independent wealth and, frankly, the gardens, to make their writing fly. But anyone can set up a blog. For free. Whether you have a small courtyard, a tiny roof terrace or a suburban garden, you can celebrate it in words. It’s a world of keen amateurs and all the more diverse, energetic and exciting for it. The quality is variable, sure, but much of what is out there is elegantly written, cleverly argued stuff, equal if not superior to what’s out there in hard print. And what isn’t brilliantly written is often so useful you won’t care. But there are challenges too. For the reader of course, how do they find the good websites, trawling through all that stuff out there? For the writer there are other hurdles. In the old days, a garden writer simply wrote. These days, you’re expected to be a great photographer too. Not only that, but a self-publicist, technological whizz and designer. You have to update your website often enough that people keep coming back to it. Oh, and make it look good, as well, with beautiful photos taken on a proper camera – not blurry ones with your iphone out of the car window – and great user-friendly design. And then you have to think about how people see you. What’s your brand? What makes you unique? Vita didn’t have to worry about all this. It’s enough to make you want to go for a nice lie down. Especially when it can be such a cacophony out there. We’ve all been guilty of humblebragging on Twitter eg ‘I have no idea how my book made it into this top 100 list, they must be mad…’ or the classic ‘Here’s me talking nonsense again in the * insert national broadsheet of choice *,’ but what’s the etiquette? Everyone else is doing it so why shouldn’t you? In your own blog there is only one editor wielding the red pen – you. Having complete control over your published work means you’ll never find your ‘best paragraph’ cut by a sub-editor you may never meet, but there’s no one to correct your dodgy grammar either. No one to say, ‘You know, maybe we’ve heard enough about food miles for a while’ or ‘Not sure that joke about chitting in the greenhouse is quite working.’ It’s far easier to get on your high horse when you’re publishing yourself, and some blogs can get a bit hectoring and bossy. But, of course, the fact is that independent editors do exist. The reading public. And if they don’t want to read your stuff, they won’t. There’s a psychological issue too. If you have any neurotic tendencies – and obviously I would never put myself in this category – this constant stream of updating chatter can be addictive. But does it always have value? How often do we really have anything interesting to say? I for one can definitely go through an entire day, if not week, without a single interesting thought. At times like that, silence is golden, and I should probably remember that. It can be distracting too. The need to get feedback, recognition and, well, just keep chatting, can stop you doing any actual work. The other day I tweeted I was going outside to the garden do something. I didn’t go outside, I just sat there waiting to see if anyone had commented on what I said I was going to do. It’s Twitter paralysis. At moments like this, I should lock my iphone in a box and go for a walk to, literally, smell the roses. But I’m more likely to check my blog stats instead. We’re adapting to this new technology. Yes, the constant stream of chatter can seem like a cacophony at times. And, yes, unless you’re very lucky, online writing is not going to pay – not much anyway. For ‘professional’ writers, a blog or Twitter presence is, at its most pragmatic, a shop-window to attract paid work from traditional print media or book publishers. It can feel like a lot of hard work for no guarantees. But I think the pluses far outweigh the minuses. Gardening writing in the social media age may not make you rich, but it’s more democratic than the old days, more diverse, more engaged and more accessible. You’ll make friends and learn stuff. 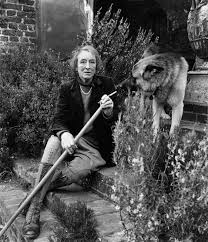 If Vita Sackville-West were alive today, would she be holding her iPhone out of her turret window, snapping a photo of her white garden via Instagram and asking Twitter what it thought of her new creation? Would Christopher Lloyd be blogging about his hot garden, then anxiously awaiting comments on whether taking out the Lutyens roses was worth it? We’ll never know of course. But I like to think that they would. 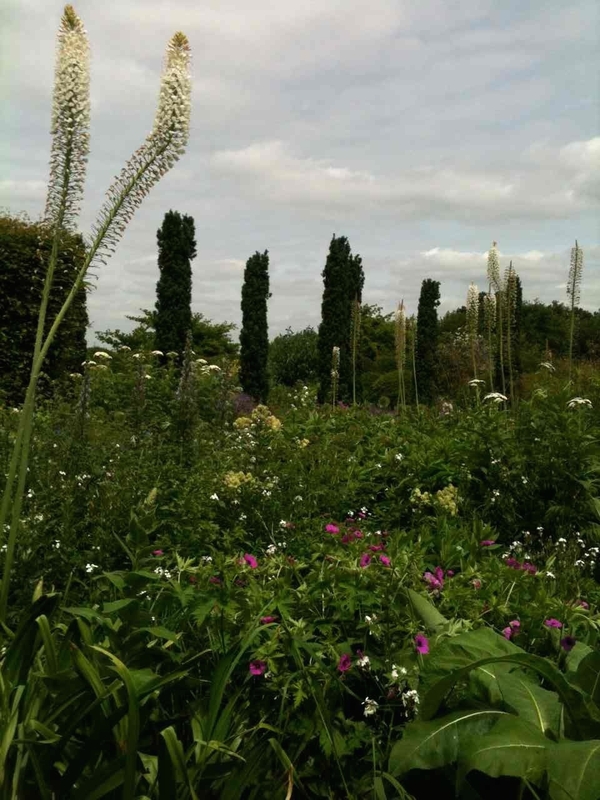 Veronica Peerless photographs and writes about city gardens that catch her eye. Quirky. Arabella Sock doesn’t take gardening, or gardening presenters, too seriously. Video mash-ups a speciality. Reading blogs has become almost as much of an addiction as gardening, except warmer (or cooler, of late) as done indoors or, at least, shade. I found your post via Naomi’s twitter feed, one of the reasons I stick with Twitter being I don’t know what I’m missing out on! Great post, Alex, would have loved to have heard it in person in the glamorous surroundings of TS-S garden. I really should get out in the garden now … (on the other hand I have lots of cherries that need making into jam). Such a fascinating subj. I always assess a blog before reading it and divide its length by the amount of time I’ve got but have come back to this three times. And not just because of the wee mention at the end. By the way, though I am paid up and card-carrying, I don’t see myself as a US writer having lived here since the early 70s. Not sure what I am but do feel like part of a community because for once I think that Twitter does deliver on this idea.. Delighted to be a conduit for your fox poo/potato-related studies, Jane. That’s social media for you! Fab post and there’s so much which resonates – especially the ‘more you know, the less you feel you know’ bit. My bloggiwog got a mention! I’m so thrilled I’ve got tears in my eyes! I love the twitter sharing stuff it makes me notice so much more in my own garden particularly all the wildlife. 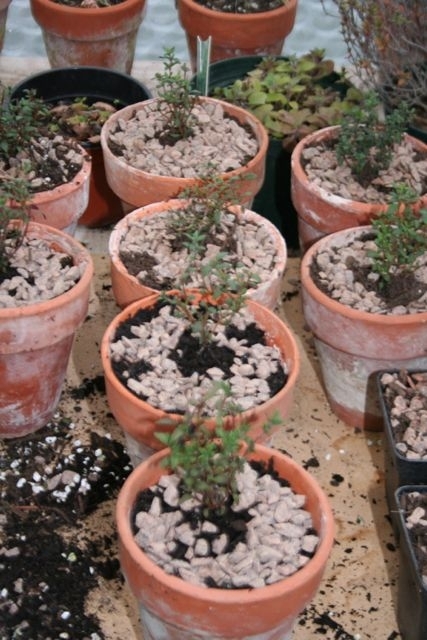 Plus it’s inspired me to grow different things even if some of them have been a bit rubbish. Next Next post: Grow your own and eat it too!